Your wedding is an immense day of heart-warming emotion and selfie-worthy memories. Having your wedding filmed is an amazing way of reliving the laughter and the tears over and over again. Because your wedding is so unique it’s super important to have a wedding film that truly reflects who you are as a couple (and so that you can remind all of your friends how good your wedding day was). Your story is amazing. And I want to tell it. My name is Joel and I live in North Wales with my wife, Kerry. 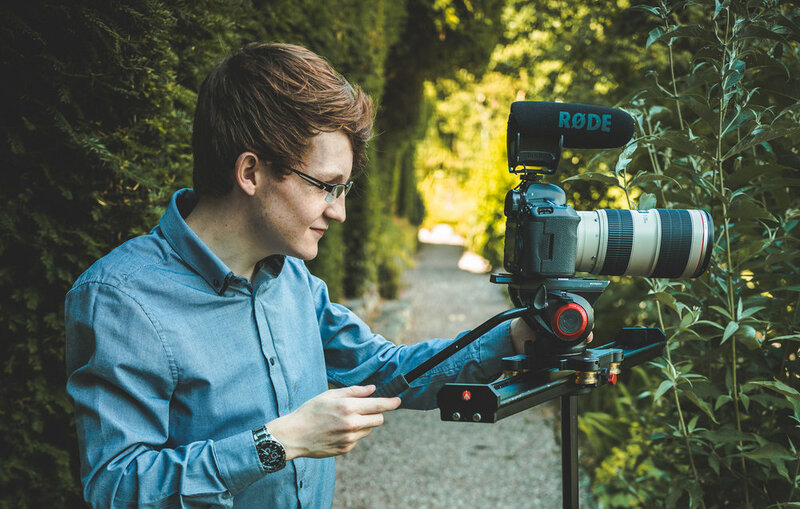 With a passion for telling stories and a first class degree in video production, there’s not many places I’d rather be than behind the lens of a camera. When I’m not shooting films, I play drums, drink coffee and play monopoly. Let's connect! Check out my Twitter or contact me here. My style - your story, let's talk! The films I create are bespoke & beautiful. It’s important to me that your film really reflects you two as a couple. My packages are pretty simple, starting from £1250. If you like what you see - get in touch and I’ll be sure to give you a speedy response.